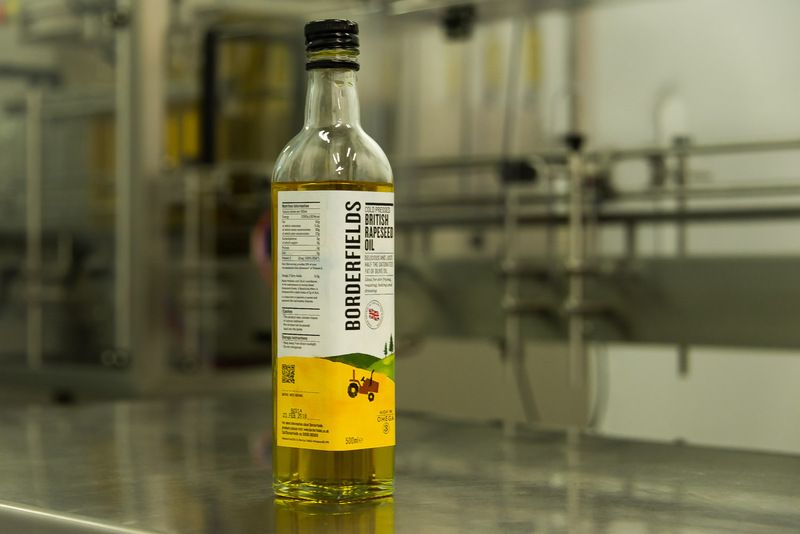 Forget olive oil, corn oil, vegetable oil and any other old oils because rapeseed oil is the new frying choice and what’s more it’s 100% UK sourced and bottled. 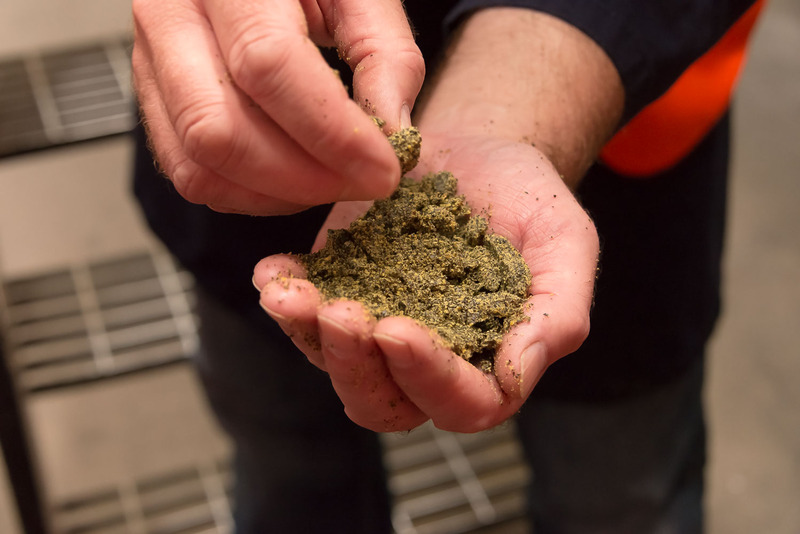 Nick Harman goes to see how the seeds become liquid gold..
Rapeseed oil, known as Canola oil in America perhaps for obvious reasons, has had a relatively short history in the UK but has been going from strength to strength with supply sometimes being outstripped by demand. Especially when endorsed on the TV. ‘Well, Greg Wallace mentioned how good it was on Masterchef a few years back and the next day sales went through the roof,’ says Jon Hammond, Executive Director of Hammond Food Oils as we duck through plastic curtains into another section of the rapeseed pressing and bottling plant near Nottingham. ‘It was like the old Delia effect, do you remember when she recommended that saucepan?’ Who could forget? Rapeseed genuinely is a seed, a tiny black round seed that s identical in look to the mustard seed used in Indian cooking, or the cabbage seed we plant in vegetable plots. This is because it’s a part of the same brassica family and even smells rather the same. Today its unmistakable bright yellow flowers are a familiar part of the UK’s colour palette all summer long. 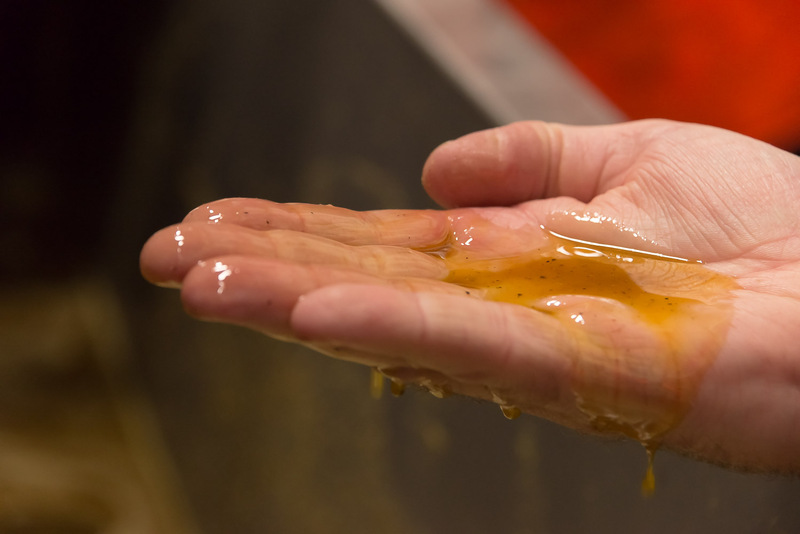 The oil pours sinuously down pipes to be refined ready for bottling, gradually going from green to gold in the process. This is a small factory with a small workforce where the bottling machine chugs away cheerfully, occasionally stopping and being tended by its minders, before lurching back into clinking life again. The bottles are wrapped with their date marked labels and pass out through a catflap affair to be hustled into boxes by hand ready for dispatch. 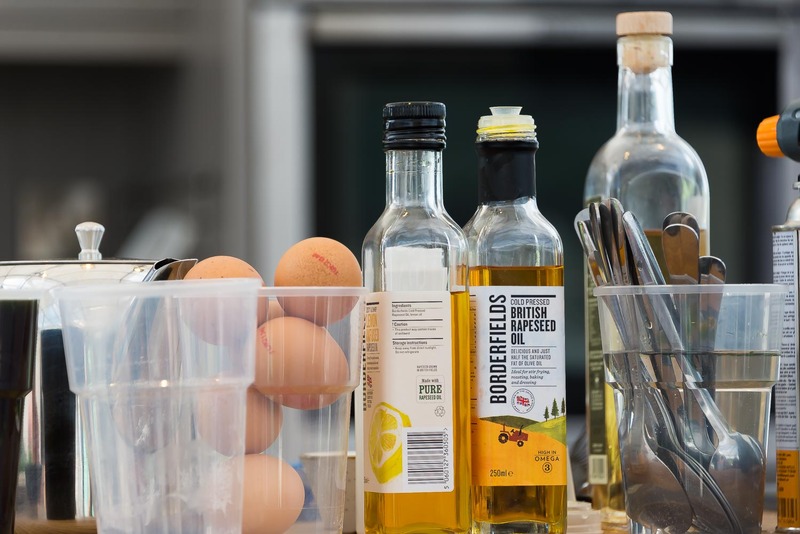 Not just plain rapeseed oil either, much of the produce is flavoured with things such as lemon, basil, chili and garlic to meet increasing demand. 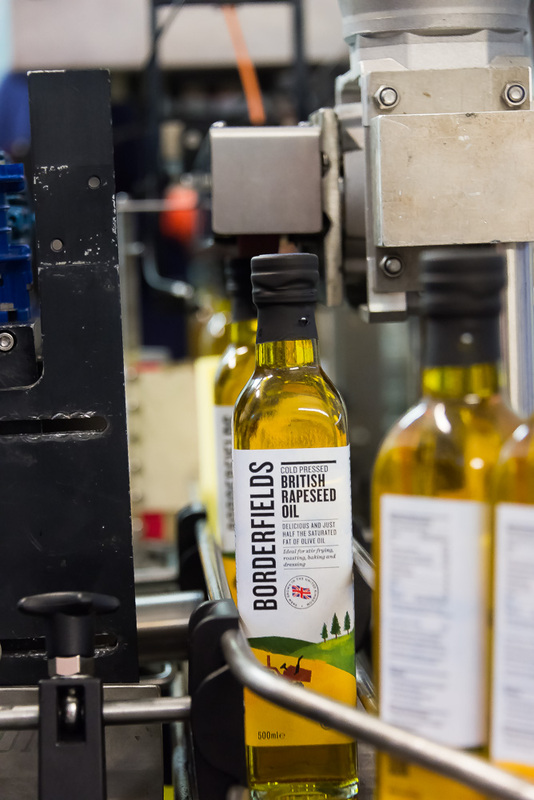 The natural oil is relatively neutral in flavour, it has a slight nuttiness that’s warm and embracing and not the assertive pepperiness of so much olive oil as well as half the saturated fat and and a near perfect blend of omegas 3, 6 and 9. 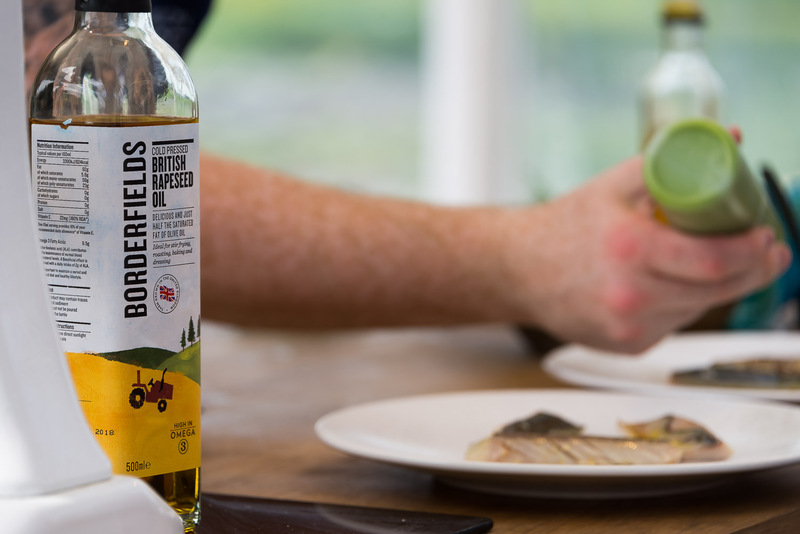 The neutral flavour makes it ideal for frying, as does its high smoke point that means that unlike olive oil it can be made to go very hot indeed without choking you out of the kitchen. 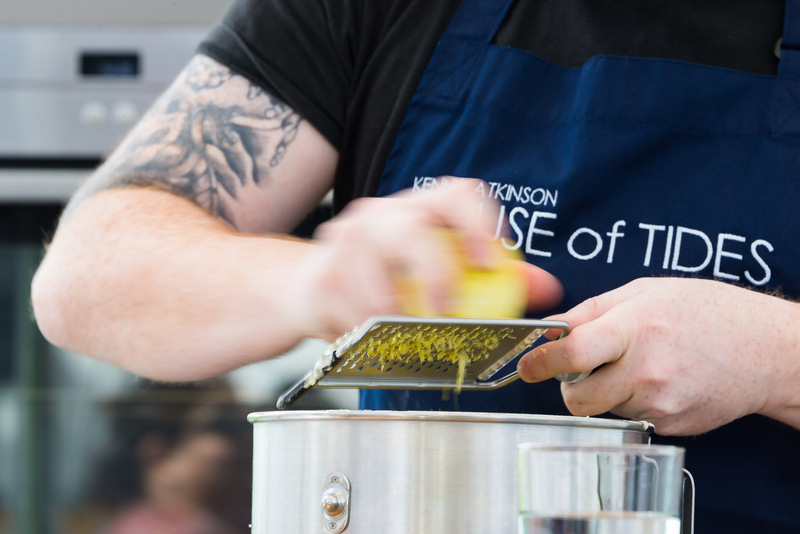 To prove how good it is he gets busy and cooks Grilled Mackerel with salad of fennel and an orange, brown shrimp and ginger vinaigrette, whips up a vibrant Watercress Pesto Sauce and then Lemon and Thyme Cake Bars. Follow the links for the recipes. All delicious I find, as I eat the dishes under a clear blue sky out in the Nottinghamshire countryside just a mile or two away from where the oil was produced. 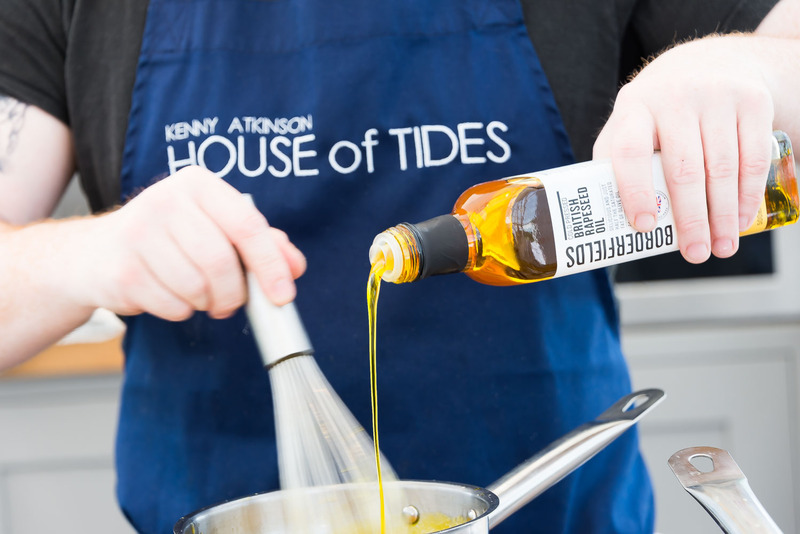 Rapeseed oil is one of our island’s most perfect products it seems and is slipping ever deeper into the clued-up chef’s toolbox.Try some yourself and get the golden touch. Available at Sainsbury’s, Morrisons and Asda stores nationwide, as well as selected Tesco stores and www.amazon.co.uk – with RRPs ranging from £1.99 – £4.50. This entry was tagged borderfields oil, culinary tourism, frying food, house of tides, kenny atkinson, nick harman. Bookmark the permalink.